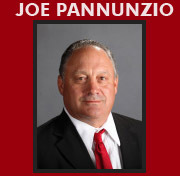 According to a report in the Miami Herald, one of the parent’s of a University of Miami football player blames Alabama assistant head coach Joe Pannunzio for introducing his son to Nevin Shapiro the Miami booster who was accused of paying players. “How did my son even meet this creep? He would never have met Shapiro without Pannunzio,” said the father. The father asked to remain anonymous because the NCAA has asked players not to reveal what they said. Obviously, he isn’t following the rules by talking to the Miami Herald. The University of Miami is hoping that by turning in the coaches and administrators who were involved with Shapiro, that it will spare them harsher penalties by the NCAA. If these allegations against Pannunzio are true, it most likely would not affect the University of Alabama, but it could make an impact on Pannunzio’s career. To this point, Alabama has taken a wait and see approach to this situation and let the NCAA do their job. We’ll see if this new information will change that policy.